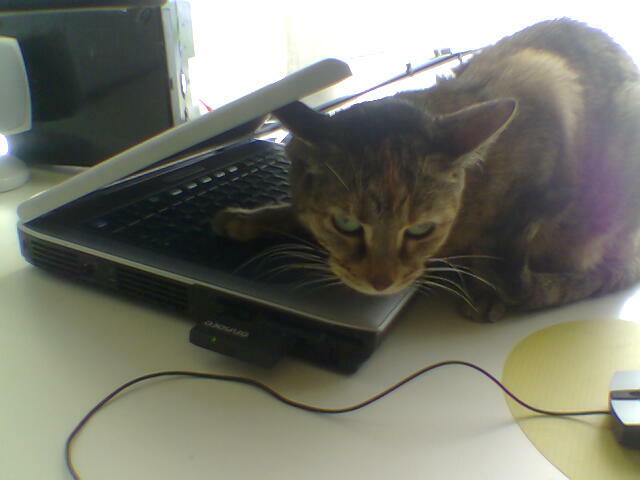 Yesterday I had one cat-induced thermal shutdown of that machine, plus one ctrl-paw-delete. What a slacker! He just walked right by that mouse without so much as batting at it. Oh gosh, I miss Petunia! Is she searching for warmth? 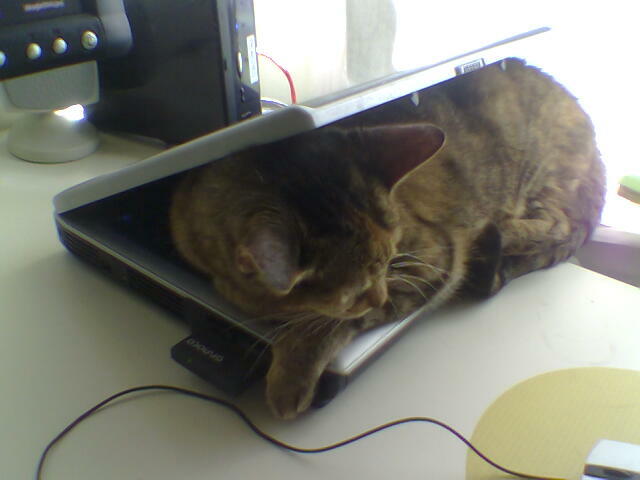 Yeah, it's all about the warm sleeping surface for her. I normally have the laptop closed with a towel laid over it, and she and mr. shrimp both cram themselves on top of it for sleeping, but when I'm actually using the laptop the CPU gets too hot if there are cats on it and it shuts down. I try to keep them away by opening the lid just enough that they can't fit in between it and the keyboard and they can't step on the lid and close it, but it doesn't always work. My cat only does that when the laptop is actually on my lap. I can sympathize. 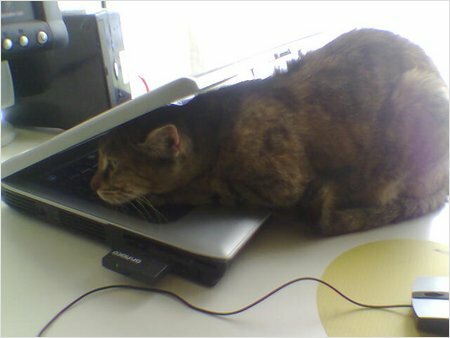 Get a MacBook Pro - those kitties will jump right off that hotplate.